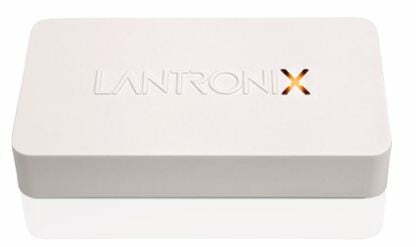 Among the many glitzy gadgets on display at Digital Experience 2013, the tech and media trade show preceding CES 2013, was the Latronix xPrintServer, a device slightly larger than a deck of cards packing a lot of print connectivity. Latronix specializes in machine-to-machine communication, and the xPrintServer continues that traditon. Basically, the xPrintServer allows iPhone and iPad users to print directly from their mobile device using the native iOS print menu, avoiding annoying app and software workarounds. The elegantly simple setup has already won the xPrintServer a number of awards, including Macworld 2012’s Best in Show. As the demo video shows, once the xPrintServer is plugged into a power cord, wireless router, and printer, any Apple mobile device running iOS 4.2 or later will instantly be able to auto-detect it. Now, Apple aficionados can AirPrint anything viewable on their touchscreens, whether a boarding pass from Safari, a word document from Pages, or a family snapshot from Photo Stream. The xPrintServer supports both wired and wireless printers, whether USB or network-connected, and can link to up to eight USB printers with the addition of a USB hub. The xPrintServer connects to a wide range of consumer printers, including Dell, Brother, and Xerox models, but it does not support every model on the market. Be sure to check the current list of compatible printers before you buy. Latronix offers the Home Edition of the xPrintServer for around $100. Meanwhile, the Office Edition of the xPrintServer, which naturally supports a much greater number of iOS devices and networked printers, runs about $200.